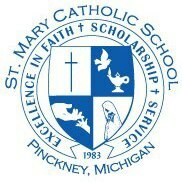 Our 22nd annual auction will be held on February 2, 2019 starting at 6:00 right here at St. Mary School. Get ready for an Evening Under the Stars at the Country Fair on February 2, 2019. This shindig will include silent and live auctions and the best BBQ this side of the Mississippi. Grab your partner! We look forward to seeing you at this fun filled evening that supports our school!